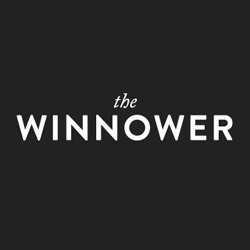 The Winnower | A puzzling pattern of cell-cycle-duration inheritance: just an artefact of changing growth conditions in vitro? Correspondence re: Sandler, O., S. P. Mizrahi, N. Weiss, O. Agam, I. Simon, and N. Q. Balaban. 2015. "Lineage correlations of single cell division time as a probe of cell-cycle dynamics." Nature no. 519 (7544):468-71. doi: 10.1038/nature14318. In a recent letter published in Nature, Sandler and colleagues presented exciting data on cell-cycle-duration inheritance in a malignant mouse lymphoblast cell line (Sandler et al. 2015). They found that cell-cycle duration, despite a significant correlation within one generation of sister or cousin cells, is lost between mother–daughter cell generations. The authors wondered how cell-cycle-duration inheritance can be lost within one generation (mother–daughter inequality), but can still be present in the next generation (between sisters or cousins). Based on the ‘surprising’ data, they built a deterministic nonlinear toy model, implying an oscillating internal factor, which determines cell-cycle duration of every new generation of cells in a lineage (Sandler et al. 2015). To exclude the possibility that the unexpected correlations between sister or cousin cells were not due to the local accumulation of cellular by-products, the cells were cultured in multilayer devices with constantly circulating medium (Sandler et al. 2015). The authors also tested for spatial proximity, but did not find significantly elevated correlations of cell-cycle durations between neighbouring cells. Therefore, it was concluded that growth conditions are stable during several days of long-term time-lapse microscopy (Sandler et al. 2015). If my concerns are correct, the changing growth conditions during the experiment resulted in an artefact with the observed pseudo-deterministic pattern. Accordingly, the missing mother–daughter cell-cycle correlation can be explained by the fact that the mother no longer exists when the daughters are going to divide. With no overlap in time, the changing activity of cytokines and growth factors in the circulating medium automatically alters cell-cycle characteristics between two generations of a lineage. Whereas, related cells of the same generation (sisters or cousins), due to an overlap of more than 90% in time (Sandler et al. 2015), experience identical growth conditions and, therefore, perfectly correlated cell-cycle durations. During a personal communication with one of the authors, I stumbled upon some evidence of changing growth conditions, which I initially overlooked. Extended data figure 1 shows the mean cell-cycle durations during long-term time-lapse microscopy and although the authors claimed that growth conditions were stable, mean cell-cycle durations obviously varied by 140 minutes (Sandler et al. 2015). Yet, the kicked cell-cycle toy model (see figure 3d) aims to explain a cell-cycle difference of 2 hours between mothers (T1) and daughters (T2) (Sandler et al. 2015) by an oscillating internal factor, but the observed pattern seem to just mirror the changing growth conditions during the experiment. Again, a mother cell-cycle cannot overlap in time with a daughter cell-cycle of the same lineage. In contrast to same-generation cell-cycles of sisters/cousins, which reportedly overlapped in time by 94% (Sandler et al. 2015). Hence, there is no need for a fancy theoretical model with an oscillating internal factor to explain the observations. The proposed oscillating internal factor is actually external and is called ‘changing growth conditions’. Sandler, O., S. P. Mizrahi, N. Weiss, O. Agam, I. Simon, and N. Q. Balaban. 2015. "Lineage correlations of single cell division time as a probe of cell-cycle dynamics." Nature no. 519 (7544):468-71. doi: 10.1038/nature14318. Submitted to Nature 05/13/2015, rejected without review 07/14/2015.